English as a Second Language is the flagship offering of Madonna Mission. 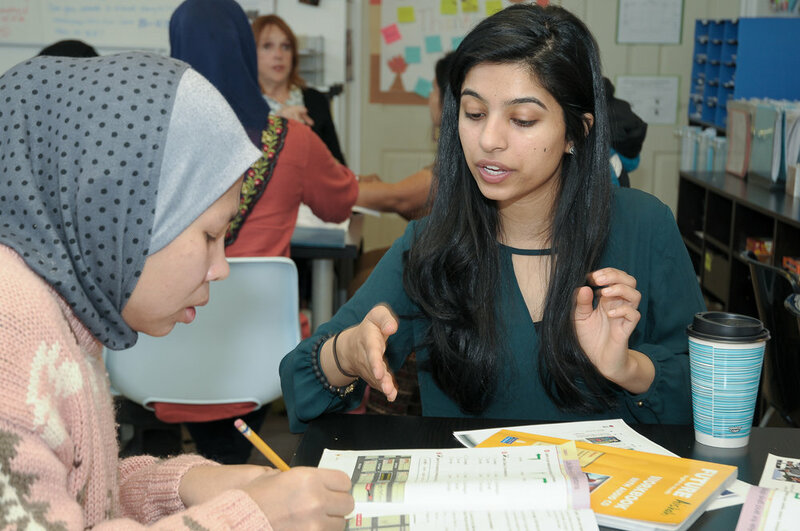 By providing a place to learn as well as child care during tutoring, our ESL program removes major barriers to refugees, and replaces them with a critical skill. Children of refugees face the additional challenge of navigating a new school where everything is taught in a strange language. Our After School Tutoring program helps bridge that gap to make real learning possible. When language is brand new, a lot can be lost over summer vacation. Our Summer Learning program keeps the learning going while providing girls with a safe place to go, and plenty of summertime experiences and fun. Whenever you shop Amazon, shop at Amazon Smile and send .05% of your purchase price to Madonna Mission. Simply go to Amazon Smile.com, choose Madonna Mission as your charity, and a percentage of each purchase becomes a donation, each and every time you shop.